A fixed gear bike has a single fixed sprocket screwed onto a thread on the back wheel. The power of the drive screws the sprocket on tighter. Take extra care when working on fixed drive transmissions in the workshop. The systems momentum can trap and injure your fingers. Put a little anti-seize assembly grease on the threads on the fixed sprocket and along the ridge at the end of the thread. Do the same with the lockring. 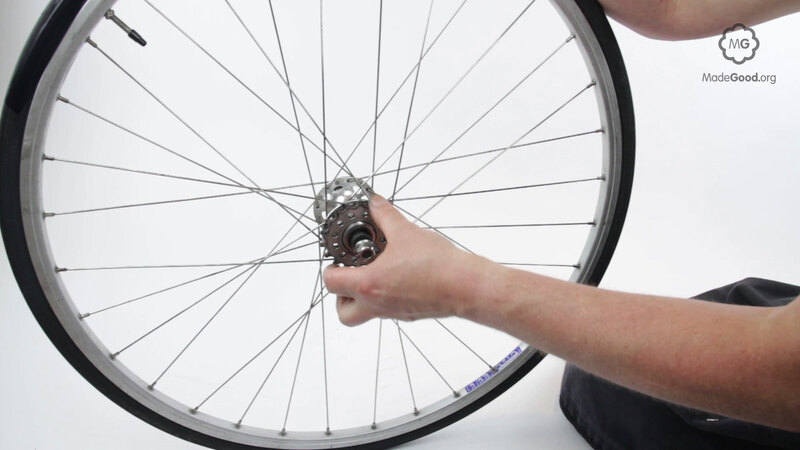 Stand behind the bike with the hub in the frame and decide where the fixed sprocket needs to sit. The fixed sprocket may have a flange at the bottom so it sits in a slightly different place depending on which way round it goes. If the thread on the hub is long enough a narrow spacer can go in behind the fixed sprocket to move it slightly right on the hub. The thread on the hub shell is usually made of aluminium which is quite soft. The fixed sprocket is likely to made of a harder material usually steel. Take care as you mate the two threads to avoid damage to the soft hub from the hard fixed sprocket. Use finger-power at first. 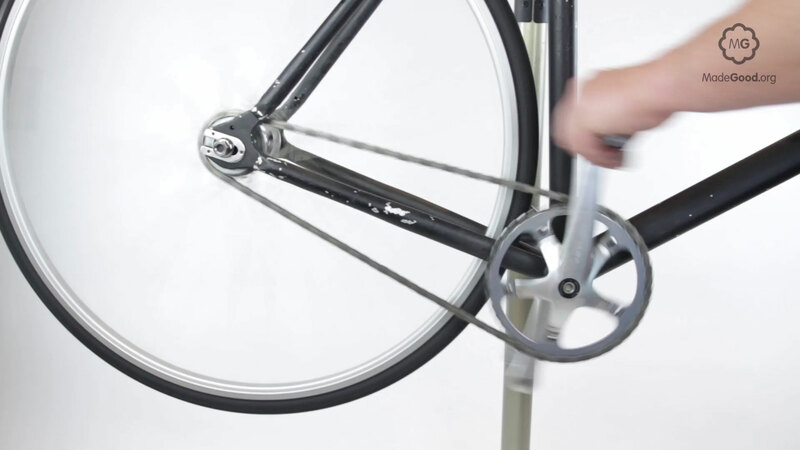 Finish with the chain-whip to jam the fixed sprocket at the end of the thread. If the hub has a lock-ring thread grease it with anti-seize then screw the lock-ring on carefully by hand. It tightens by turning anti-clockwise on a left-hand thread. Finish with a lock-ring spanner to jam the lock-ring against the fixed sprocket. If the hub is intended to serve as a foot-operated rear wheel brake the lock-ring is essential to stop the fixed sprocket unscrewing under heavy braking. If the bike is for an inexperienced rider who may forget to move their feet it may be safer to leave the lock-ring off, providing the bike has another back brake. If the rider mistakenly locks their legs the fixed sprocket will unscrew rather than crash the bike or strip the threads off the hub shell. When you first take the bike for a ride this may tighten the fixed sprocket which will leave the lock-ring loose. Check the lock-ring and tighten if necessary.